I first learned about Ham Radio from a neighbor across the street. I heard morse code coming over my transistor radio and went over to ask him if it was him I was hearing. After that first meeting, Doc, K6EPX became by friend, mentor and Elmer. He taught me about electronics', radio and of course Morse code. He tried to help get me licensed but it wasn't until the summer of 1970 that I took and passed my Novice test. This was with the help of Frank Griffen, WA6OCG my electronics teacher and sponsor of our High School Amateur Radio club the Brasspounders. Novice licenses where only good for 2 year back then and couldn't be renewed. Being in High School Girls, Cars and Theatre started to consume my time and by license expired. 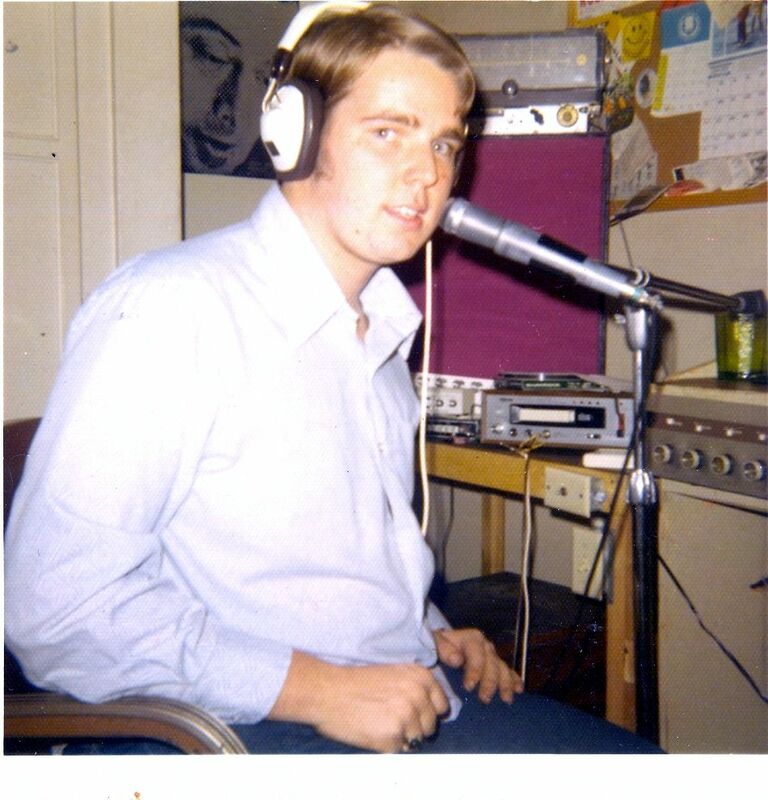 Still fascinated with radio passed my Second then First Class Commercial Radio License by the time I was 18. This started my career in Broadcasting were I worked for some major LA area radio stations and later in the recording industry. I returned to Ham Radio early in the 1980's and quickly upgraded to Advanced then Extra. I enjoyed the early days of vhf packet and working DX on 10 meters. Rejoining the Downey Amateur Radio Club I met up with Glenn, KE6HPZ who talked me into going to a mountain top for a VHF and up contest. While finding this fun a few years later I did a small effort at roving around the LA area and I was hooked. Driving through the Golden state, activating rare grids and having the contest start all over for me every time we make a grid change appealed to my sense of adventure and never gets dull. Set up for a VHF contest takes a full day to put all the antennas on the car and test out all the radios. This is a no holes rovers. Everything clamps on, uses magnetic mounts or attaches to the unistrut on the top of the car. I usually drive 600 to 1000 miles in a contest weekend and typically make it to the top 5 or 10 rovers nationally. In June of 2005 I succeeded in taking the top spot by coming if First Place nationally. A few years ago I joined the San Bernardino Microwave Society and participate in the fascinating activity of building my own radio's for the microwave bands and participating in the microwave contests. Half the fun of building your own radio is scrounging parts and learning how to cobble things together. To me this is the leading edge of our hobby and you would be amazed at some of the contacts we make by bouncing signals off mountains or islands. I enjoy talking about our wonderful hobby and getting others interested. To date I have encouraged the following people to get their licenses; Bill KE6RPY, Kent K6WCI, Greg KG6EPM, Randall KD7PCW, Ron KI6 , Elliott KI6 and my wife Laura KI6HQR. Since I enjoy camping almost as much as Radio I mix the two whenever I can and participate in Field Day, the Baker to Vegas foot race, our local Loins Club Bike Race Tour de Sewer and the LA County fair to list a few. While camping I typically operate the HF digital modes running PSK 31 or RTTY. If you would like me to speak to your local club or youth group I would be happy to do so.